Some AGN have been observed to change once between these two types over the course of only 10 years, a blink of an eye in astronomical terms. 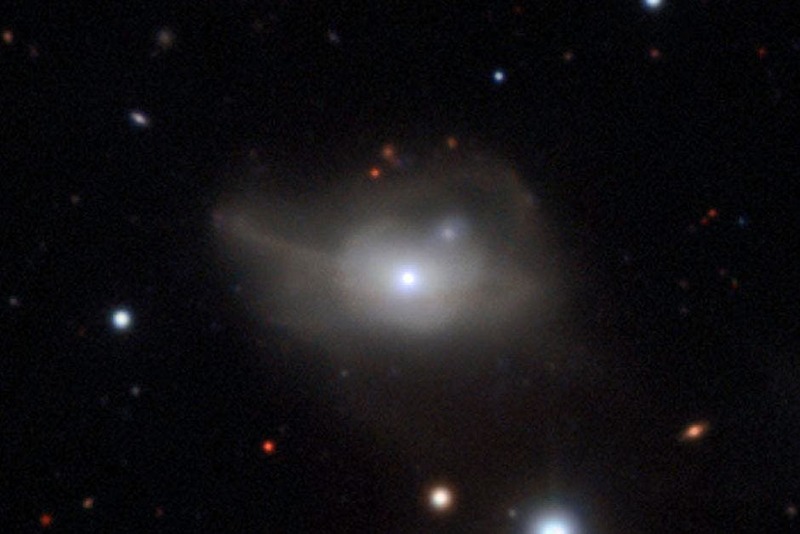 However, the AGN associated with the galaxy Markarian 1018 stands out by changing type twice, from a faint to a bright AGN in the 1980s and then changing back to a faint AGN within the last five years. A handful of AGN have been observed to make this full-cycle change, but never before has one been studied in such detail. During the second change in type the Markarian 1018 AGN became eight times fainter in X-rays between 2010 and 2016. 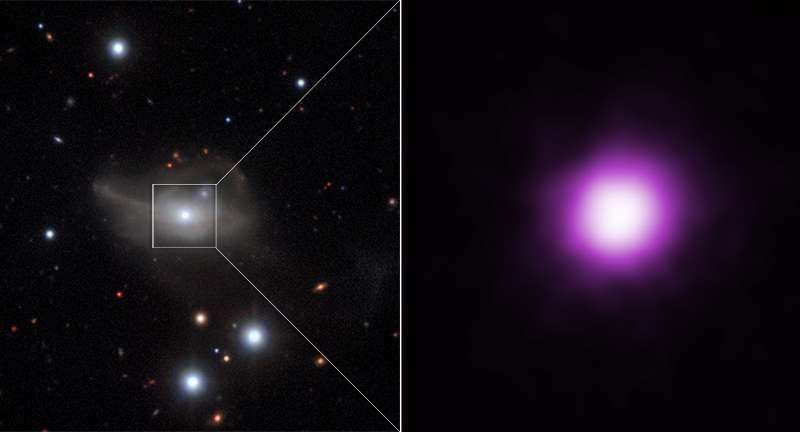 After discovering the AGN's fickle nature during a survey project using ESO's Very Large Telescope (VLT), astronomers requested and received time to observe it with both NASA's Chandra X-ray Observatory and Hubble Space Telescope. The accompanying graphic shows the AGN in optical light from the VLT (left) with a Chandra image of the galaxy's central region in X-rays showing the point source for the AGN (right). However, the true mechanism responsible for the AGN's surprising variation remained a mystery until Chandra and Hubble data was analyzed. Chandra observations in 2010 and 2016 conclusively showed that obscuration by intervening gas was not responsible for the decline in brightness. Instead, models of the optical and ultraviolet light detected by Hubble, NASA's Galaxy Evolution Explorer (GALEX) and the Sloan Digital Sky Survey in the bright and faint states showed that the AGN had faded because the black hole was being starved of infalling material. This starvation also explains the fading of the AGN in X-rays.